Two weeks ago, one of my favourite recruitment bloggers, Jonathan Rice, posted on his blog The Whiteboard, a smartly written post, provocatively entitled Smoke More Cigarettes to Bill More Fees. The essence of Jonathan’s post was that when he worked at Hays, a large majority of the biggest billers were smokers, but it wasn’t the actual smoking that lead to more fees. More so that the smokers needed to leave the office to smoke and this regular short respite from the hurly-burly of the consulting day was very beneficial for the smoker in connecting with his or her colleagues (fellow smokers), re-focusing the consultant’s activities, and hence improving productivity. Surprisingly, there’s actually a good deal of research to support what Jonathan was writing about with respect to the advantages of connecting positively with your colleagues throughout the day (although noting that the actual smoking part is the least important element at play here). ‘Studies show that each positive interaction employees have during the course of the work day actually helps return the cardiovascular system back to resting levels and that over the long haul, employees with more of these interactions become protected from the negative effects of job strain. Each connection also lowers levels of cortisol, a hormone related to stress, which helps employees recover faster from work-related stress and makes them better prepared to handle it in the future. Furthermore, studies have shown that people with strong relationships are less likely to perceive situations as stressful in the first place. So in essence, investing in social connections means that you’ll find it easier to interpret adversity as a path to growth and opportunity; and when you do have to experience stress, you’ll bounce back from it faster and better protected against its long-term negative effects. When I consider the various company and team cultures I worked in during my fourteen years as a recruiter, I don’t think it’s any coincidence that I was most successful in the culture that provided and encouraged the connectedness of its staff and I was least successful in the culture where individual connectedness was actively discouraged. In the company with the most connected culture, we had open plan offices, no partitions between desks, Thursday night drinks out of the office, Friday night drinks in the office and often beach volleyball on a Sunday at Shelly Beach in Manly. Team meetings were regular, positive and productive and there was an egalitarian culture where all non-fee earning staff were respected and regarded with just as much importance as any fee-earning consultant. The company’s directors were frequent visitors to all parts of the company and lead the way in generating and reinforcing positive individual connections throughout the business. Agency recruitment has the potential to be very stressful. As the research shows, this stress is not just bad for a consultant’s physical health, it also has a very direct impact on their workplace engagement, results and tenure. As I wrote in my blog last week, Queensland generalist recruiter, Davidson Recruitment, was the #6 ranked company nationally in the Business Review Weekly (BRW), 2011 Best Places to Work list. In the BRW staff questionnaire, Davidson Recruitment was ranked as ‘a great place to work’ by 96% of the DR staff. 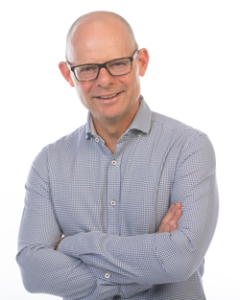 Joint MD, Rob Davidson is a big fan of The Happiness Advantage and implements Achor’s recommended practices throughout his business. My most enjoyable and hence one of my most successful roles was with a company in London who like the company you mentioned hated the idea of partitions. We were actively encouraged to play the multitude of games (table tennis, pool, darts) in the office at lunch or after work and of course we had Thursday and Friday drinks. I am friends with many of these people to date and if I ever had the chance to work with them again I know we would be successful because of this. Inversely when I first came to Australia I found it quite hard to get accustomed to not going out on a Friday with my colleagues. The second 5.30 came along everyone was out the door and on their way home which seemed very alien to me and out of all the people I worked with at that company the only person I kept in contact with was the one person I met outside of work time. Although I am now in a slightly different environment we make the effort to connect in the office as well as outside. Keep up the good work, its always an enjoyable read. I am quickly becoming a fan of your work Ross. The ability to bring personal experience real world research and general understanding of the Human Condition as far as it goes to people at work. I have directing people I work with to your website and it is for the reasons above that I do so…. Thanks Stuart and Shane, I appreciate your comments. The work-hard, play-hard culture of some recruitment companies might seem a bit intimidating to some but it has no doubt helped those agencies build a very strong connectedness amongst their staff.